Digital commerce consulting firm SUMO Heavy Industries today announced the opening of its new headquarters in the Old City district of Philadelphia. 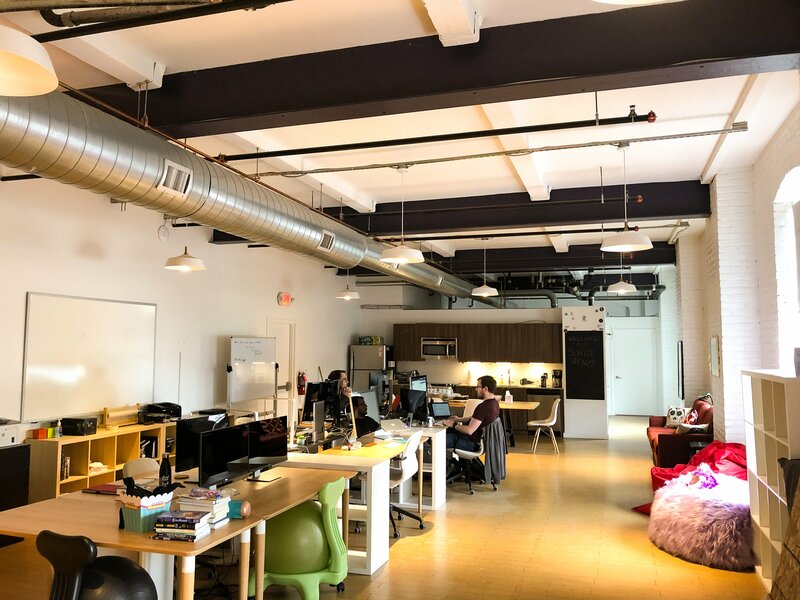 Founded in 2010 by local entrepreneurs Bart Mroz and Bob Brodie, the new office marks SUMO Heavy’s return to its roots in the “City of Brotherly Love,” having previously moved its headquarters to New York City for the past six years. The new office is located in the Creative Arts building, just off 2nd Street in the heart of Old City, which is widely regarded as one of the most important places in American history. Known for its vibrant arts scene with many restaurants, art galleries, and monthly First Friday events, the area’s unique blend of culture and history make it an ideal location for local businesses to draw inspiration. The building is adjacent to the Arden Theatre Company and the historic Christ Church, which was founded in 1695. The office’s open floor plan will allow SUMO Heavy to add desks to accommodate the company’s growing team, as well as provide ample space for project collaboration. The industrial style loft space features high ceilings, exposed brick, and large windows with views of Old City. Clients and guests can enjoy the office’s spacious lounge area, while team members have daily access to a fully-fitted kitchen, a full bathroom complete with a shower, a separate private conference room, as well as a washer and dryer. The office also features a professional podcast studio where Mroz and John Suder, SUMO’s creative director, record their popular retail and tech-focused podcast series The eCommerce Minute. Since launching in 2010, SUMO Heavy’s diverse team of strategists, consultants, designers and developers has helped e-commerce retailers build successful brands and create online retail solutions with proven results. In the coming year, the company will continue to serve its existing clientele, as well as take on a variety of new projects and strike new partnerships with businesses local to the Philadelphia area. Would you like more thoughts and opinions from our team on the eCommerce and Tech landscape? Sign up for our list, you just might learn something!